Apple is in the process of contacting iOS developers who missed out on its recent WWDC ticket lottery and is offering a chance for unclaimed tickets to be purchased. Individual tickets still cost the usual $1,599 fee, and chosen developers must also take advantage of the opportunity and complete their order within a strict 24-hour timeframe. The news surfaced in a report from 9to5mac, which cites information provided by developers and reproduces an Apple-sent email explaining the situation (below). As a reminder, developers fortunate enough to be selected in the original WWDC ticket lottery had until April 14 to complete their order. Clearly, not every developer randomly selected by Apple ended up purchasing a ticket, hence Cupertino’s need to distribute spare tickets over the remainder of April. 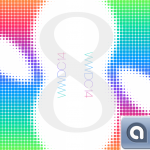 This year, Apple is expected to unveil its iOS 8 operating system during its WWDC keynote. The updated mobile OS should include a dedicated health and fitness application, Healthbook, and a number of further changes will of course also be made. The Healthbook app, in particular, is expected to integrate with Apple’s anticipated “iWatch” product, however it’s likely we won’t hear about this until late 2014. For developers, WWDC also presents an important opportunity to bring code to Apple’s many developer sessions, and to gain an in-depth insight into the changes made to the mobile OS with iOS 8. 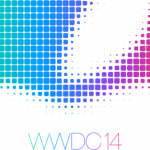 WWDC is set to begin on June 2, and the conference will be held at the Moscone Center in San Francisco. See also: Apple Expands Its Maps Flyover Coverage To Include Berkeley, East Bay Area, AppAdvice Daily: Kill Robots From Outer Space And Fight Evil Geometric Shapes, and Beats Music Update Offers In-App Subscription And Account Management Via iTunes.